TODAY’S GAME: The Generals begin the 2nd half of the 2012 season against the Huntsville Stars (MIL) at Pringles Park. This season Jackson is 4-6 against the Stars and 1-4 against them at Pringles Park. The only team in the league Jackson is below .500 against. GENERALS RECAP: The Generals closed out their 10th series win of the season, taking the rubber match of the 5-game set against Chattanooga, 7-5 on Sunday. The Generals finished the first half with the best record in the Southern League at 42-28, while their 42 wins ranks as the 3rd-most in franchise history during a first half. 3B Leury Bonilla (3×4, R, HR, 5 RBI) set a seaon-high with 5 RBI, going 3×4 with a 3-run home run. 1B Jharmidy De Jesus (3×3, 2 R) recorded the team’s only other multihit game, going 3×3 with 2 runs scored. Starter Brandon Maurer 5 runs on 8 hits in 4.0 innings, but didn’t figure into the decision. Relievers Mauricio Robles (2.0,1,0,0,1,2), Yoervis Medina (1.1,1,0,0,1,2), Brian Moran (0.1,0,0,0,0,1) and Carter Capps (1.1,2,0,0,0,1) combined to toss 5.0 scoreless innings in relief. Robles recorded his first win with Jackson, while Capps earned his 9th save of the season, recording the final 5 outs. ALL-STAR RECAP: Mississippi’s Todd Cunningham hit an RBI single to spark a 3-run second inning as the South Division rallied for a 6-2 win over the North Division in Southern League All-Star game. CF Denny Almonte led off the game with a solo home run to give the North an early lead, while start Danny Hultzen walked 1 and struck out 1 in 1.0 scoreless inning. 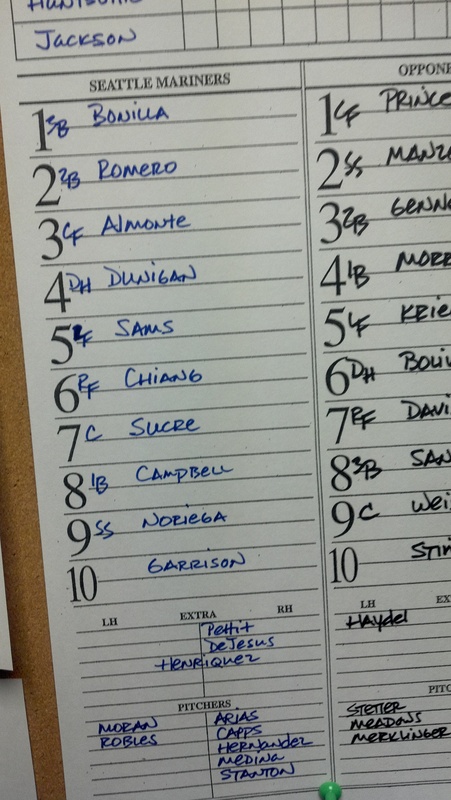 The loss for the North Division snapped an 8-game win streak over the South Division in the SL All-Star game. 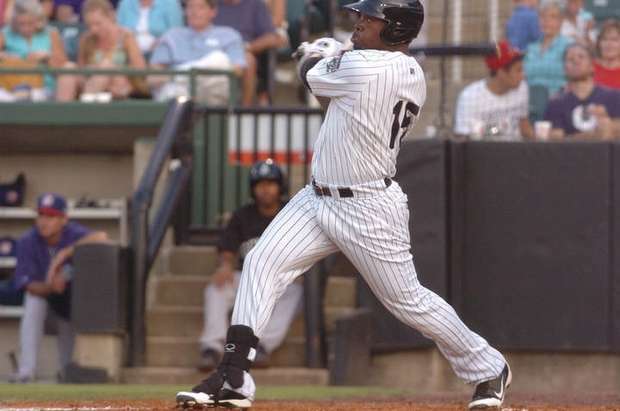 DUNIGAN WINS HOME RUN DERBY: Dunigan won the 2012 Southern League Home Run Derby. North Division teammates Dunigan and Justin Bour, both left-handed hitters, smacked 5 homers apiece in the 1st round and 1 in what was supposed to be the championship showdown. Forced to go an extra round, Bour again homered once. But, Dunigan cleared the fence on his 2nd and 3rd swings, his winning blast landing high on the hill in right-center. 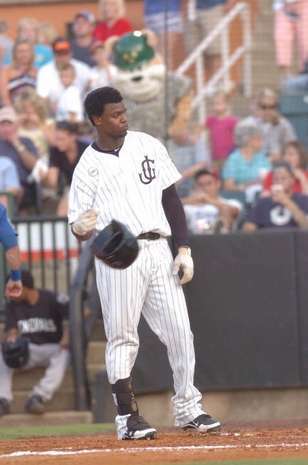 Generals outfielder Denny Almonte also participated in the home derby. WHO’S HOT? : INF Joe Dunigan has hit safely in his last 6 games, batting .320 (8×25) with 6 runs scored, 3 doubles, 3 home runs and 8 RBI. -> OF Denny Almonte hit safely in 16 of his last 19 games, batting .343 (24×70) with 13 runs scored, 5 doubles, 2 home runs and 8 RBI. -> LH Brian Moranhas held opponents scoreless in 20 of 24 relief appearances this season. He is currently 1-2 with a 1.10 ERA (4 ER, 31.2 IP). He has limited opponents to a .248 average (30×121) with 6 walks and 29 strikeouts. HULTZEN/FRANKLIN TO TACOMA: Jackson All-Stars Danny Hultzen and Nick Franklin were each promoted to Tacoma on Wednesday. Hultzen led the league in most pitching categories and was 8-3, with a 1.19 ERA. Franklin had the 2nd highest batting average in the league at .322, with 4 home runs and 26 RBI. JACKSON ADDS STARS FROM A+ HIGH DESERT: The Generals raided the A+ High Desert Mavericks plucking star INF Stefen Romero, who boasts a .357 batting average, the best in the M’s system. Joining Romero in Jackson is LHP Anthony Fernandez who will start Saturday, and reliever Jonathan Arias. CAPPING OFF GAMES: RH Carter Capps has not allowed an earned run in his last 21.0 innings in relief (15 games). This season he is 2-2 with 9 saves and a 1.34 ERA (5 ER, 33.2 IP). He has limited opponents to a .194 (24×124) average, while walking 10 and striking out 51. Capps has held opponents scoreless in 21 of 24 relief appearances this season. His 13.63 strikeouts per 9.0 innings currently ranks 2nd amongst all relievers in the Southern League. After allowing 5 runs in 4.0 innings in his first start of the season.